We produce your own animated flipbooks live at the event from a short video clip you perform. Great alternative to photo booth hire. Ideal for limited space, or if you want to have large group photos. This freestanding unit is also our most cost effective product, but with same high quality prints. 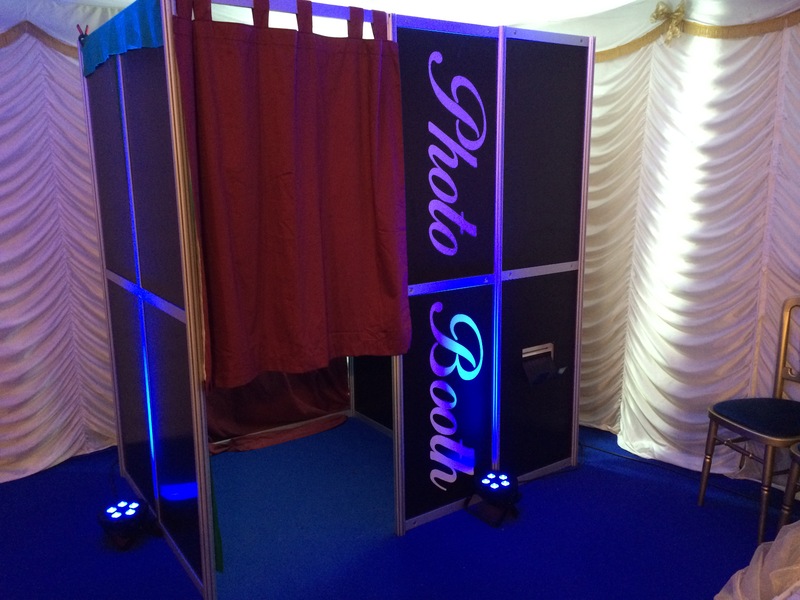 We have the largest range of photo booths available in the UK. Including outdoor waterproof booths, LED inflatable booths, karaoke booths, virtual reality booths, cartoon booths, flipbook booths and much more! 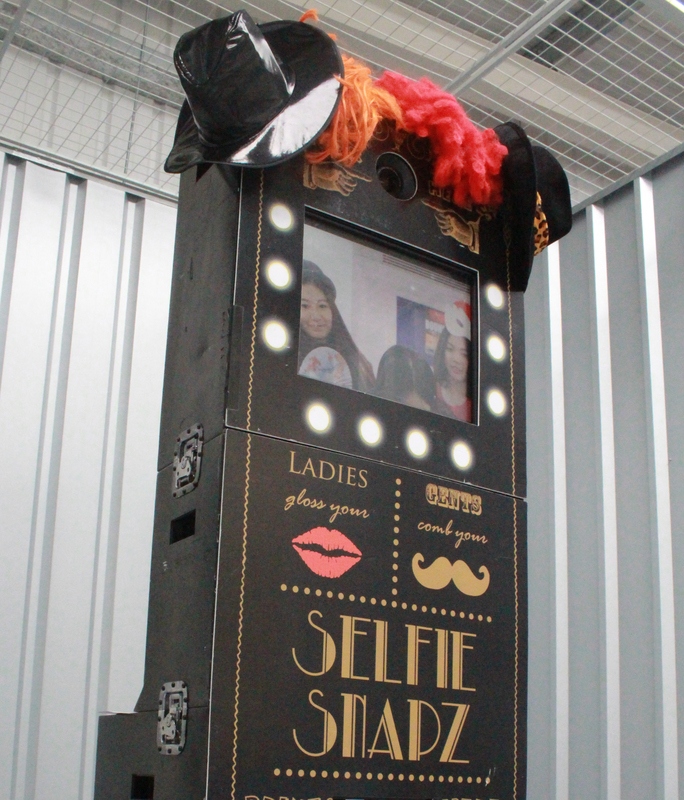 Hire a photo booth from us and it will give you a lasting memory of your event in print! We supply a selection of props and a member of staff to ensure all your guests make the most of the night. Our satisfied customers include Barclays, Bluewater, NHS, RBS, Pets at Home, Jamie Olivers Restaurant, Asda, BBC plus hundreds of private events; so when you hire a photo booth from Party Booth you can be rest assured you are in good hands. We offer a choice of packages to rent for all budgets. Standard photo booth hire is available from as low as £300, with wedding photo booth hire packages starting at £399. Stylish Photo Booths but at cheap pricing! Our staff will plan to arrive 1.5hours before the start of hire to setup. All our staff are friendly, reliable and professional. They will ensure both you and your guests have a fantastic night. They will help your guests with props, ensure pictures are placed in your album and copy all the pictures to a USB for you at the end of the night. What Photo Booth Rental package should I choose? Our standard booth is the most popular as it looks great all all and is great value for money. It comes with a 22" touchscreen, Canon DSLR camera and fast printing. The standard booth can be customized with your own logos and even the shape can be modified, we can set it up as an open plan booth allowing full wheelchair access. If you want something completely different and unique then maybe our white led inflatable booth would be ideal for your event. It is shaped like an igloo and fitted with LED lighting so that we can change the colour to suit your venue. Using our years of experience offering mobile discos and karaoke we have now combined them with our photo booth experience to give a unique party attraction. The booth looks stunning in any venue as it illuminates or pulses to the beat of the music. 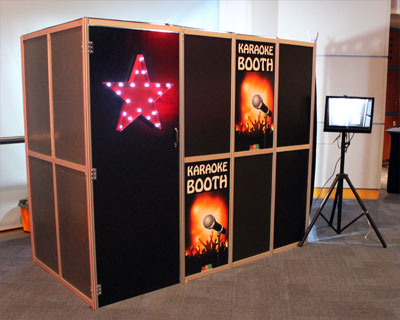 During the hire your guests visit the booth, select their favourite karaoke track to sing along to (over 30,000 tracks! ), follow the onscreen lyrics and watch themselves perform live on the screen whlst the whole performance is recorded! Our FlipBook video booth hire service offers fantastic fun for you and your guests. It really will be the talking point of your function. Your guests will be assisted by our professional staff and offered a selection of props or accessories from our box of fun. Once ready they will be positioned in front of the green screen inside the booth. They then use the touchscreen to select their own background. After which there is a short countdown and then a 6 second video clip is recorded.